If you weren't able to attend our webinar on "How to break down brick walls after 1837" with Else Churchill from the Society of Genealogists, it's now available to view online at your leisure. We had a flood of questions in during the live Q&A. ; We've put together the answers to some of the most commonly asked queries. My great grandfather came from one of the old Russian States between 1901 and 1911. My grandfather was born here but I cannot find a birth record for him. I suspect the problem will be how the name might or might not have been anglicised or misspelled. Be flexible with spelling. Does your grandfather survive till 1939? Try having a look in the 1939 Register. His date of birth will be recorded there and may be another clue. My father was born in 1925 and adopted. I have traced his mother and her family back to 1790s. Obviously there is no father's name on his birth certificate. Is there any way I might be able to find out more about him? Adoptions before the 1926 Adoption Act were made in a highly informal and ad hoc manner and there are few good records for this period. There is no one list of all orphanages or children's home that might have existed. Some agencies operated in a largely voluntarily manner, others were part of local government administration. A useful guide to identifying those agencies which might have been active before the 1920s is Georgina Stafford's Where to Find Adoption Records: A guide for counsellors, adopted people and birth parents published by the British Agencies for Adoption and Fostering in 2001. A digital version of this work can be found online on the Adoption Search and Reunion website. How do I know if I have the right person? The best way if to use the Genealogical Proof Standard. Check out our dedicated blog here. 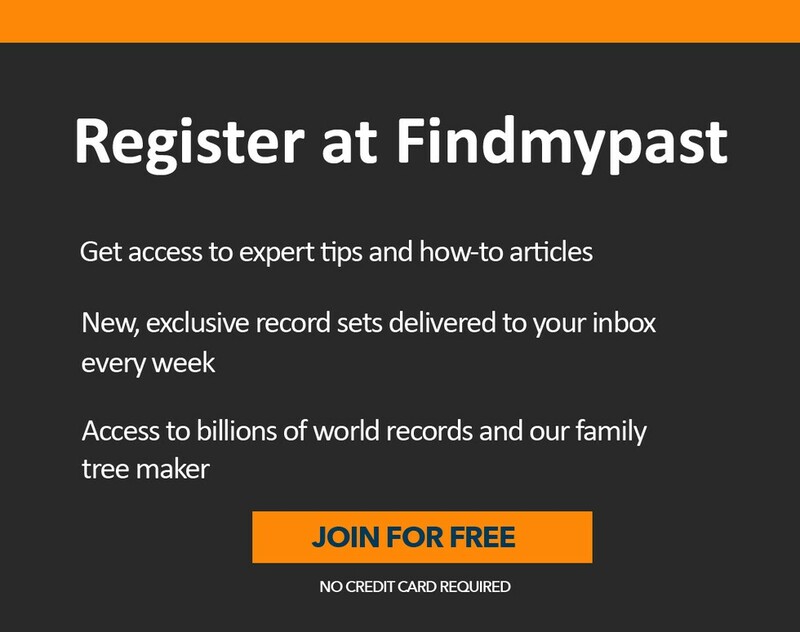 How can you tell on Findmypast exactly what areas are covered and for which years? If you go to the A to Z index and go through to the individual record set search screen you'll find links to coverage. I have a death certificate for my relative but I can't find a burial record. Have you tried browsing through the register rather than searching by a name? A record may have been mistranscribed, or the relevant page or line may be missing or illegible. You could also try neighbouring parishes. I think my ancestor might have changed their name. How can I prove that theory? What name is given in a census? Are there certificates for siblings you can look at to compare information? Is there evidence in a newspaper article? As with any theory, it's good to back it up with thorough research, not just hope for the best. Have a look at how to do this in our post on developing research strategies. I can't find my relative anywhere online. Have a look at our post on online search skills to make sure you're not missing out on vital information. Want to keep up to date with all of our future webinars? Be sure to like us on Facebook and sign up to receive our newsletter, which contains lots of helpful information on tracing your ancestors every week.